Members of the Congressional Hispanic Caucus (CHC) emerged from a meeting yesterday with Secretary of Homeland Security Janet Napolitano hopeful that their concerns about immigration enforcement were being addressed. Specifically, the group discussed ways to to end workplace raids by federal authorities. According to a report in The Hill, Secretary Napolitano preempted the lawmakers’ questions about a raid of an engine shop in Bellingham, Washington that occurred earlier this week. She expressed “grave concerns” about the actions of Immigration and Customs Enforcement (ICE) in which 25 men and three women were detained for suspicion of being undocumented. All but three, who were released for humanitarian reasons, were detained for immediate deportation proceedings. Meanwhile, Republicans were quick to criticize Napolitano’s decision to investigate the raids. The Hispanic vote was instrumental in Barack Obama’s victory last November delivering key swing states such as Colorado, New Mexico and Nevada. The harsh rhetoric from some in the Republican party against immigrants was cited as one of the reasons the party lost any inroads into the Hispanic community previously made by George W. Bush. Many Latinos will be watching carefully to see how the Obama Administration proceeds with its promise to tackle the politically and logistically difficult issue of immigration reform. In the most recent edition of Hispanic Link, Jose de la Isla explores the details of the stimulus package passed by Congress and examines how it potentially could have a positive impact on Hispanics families and businesses. The landmark $789 billion legislation to jump-start economic activity throughout the nation, if fairly distributed, will have a significant impact on Hispanic households and small businesses. The measure passed its final hurdle in the U.S. Senate Feb. 13 by a vote of 60-38. With nearly one in ten of the nation’s 22 million Latino workers (9.7 percent) unemployed, the legislation represents hope at a moment of great national economic uncertainty. The national unemployment rate is 7.6 percent. The Economic Policy Institute projects that without a recovery package, Latino unemployment could reach 13.1 percent by 2010. How effectively the legislation is implemented may well be the crucible for Latino workers and their families. This concern is emphasized by National Council of La Raza President Janet Murguia, who singles out for praise expanded tax credits for families with children. The legislation lowers the income threshold needed to qualify for the Child Tax Credit from $8,500 to $3,000. It allows more needy families to receive a larger credit, which could reach 13 million children. About 2.9 million children live in families eligible for the first time. The stimulus plan also expands the Earned Income Tax Credit for larger families. EITC provides better access to unemployment insurance and boosts Medicaid and nutritional assistance as “essential to helping families weather the economic storm,” she says. The legislation provides $2 billion for the Neighborhood Stabilization Program that helps governments and nonprofit groups buy and rehabilitate foreclosed and vacant properties. It also encourages states to expand unemployment insurance eligibility for part-time and low-wage workers. A significant number of Latinos is in this portion of the labor force. The final package, however, did not include the proposals championed by Rep. Raul Grijalva (D-Ariz.) and Sen. Robert Mennndez (D-N.J.) for adult education and training targeting limited-English-proficient workers. Other portions of the American Recovery and Reinvestment Act — popularly referred to as the “economic recovery plan” and the “stimulus bill” — will rebuild deteriorating roads, bridges and schools (as infrastructure) and invest in the economy. In turn, people go back on payrolls and build savings, as businesses create some new jobs and restore others. Rep. Nydia Velazquez (D-N.Y.), who chairs the House Small Business Committee, hails the legislation as a “victory for struggling entrepreneurs.” She points to the $21 billion for small business, intending to keep or create 634,000 jobs. For business owners using the Small Business Administration, it means increases in affordable credit and reduction to zero fees for some SBA-backed loans, while the portion on the amount guaranteed by the government is increased. There is relief for loans already in secondary markets. New funds are being made available for investment corporations in growth areas. An infusion of $30 million has also been made to the SBA’s micro-loan program. Hispanic wage earners may also benefit from the $720 million for the border trade infrastructure upgrading it should produce as a result of the economic stimulus. Funds go to respond to trade and security demands for the nation’s ports. This infusion is slated to create or save 4 million jobs next year. Updating border ports’ infrastructure will help sustain jobs and mitigate massive output losses resulting from nationwide border congestion, which in 2007 cost 55,675 jobs at California land ports alone. Cross-border trade at U.S. land ports in 2007 supported three-quarters of a trillion dollars in North American economic activity and contributed more than $363 billion, over 2.5 percent of the Gross Domestic Product, directly to the national economy. Some 34 non-border states list Canada, Mexico or both as their top two export markets. “Sound implementation will determine whether this package will deliver good jobs for Latino workers,” Murguía concludes. In President Obama’s first address to a joint session of Congress, he asked worried Americans to pull together and declared reassuringly that the U.S. “will emerge stronger than before”. The 44th President called for new efforts to address energy, health care and education. Acknowledging the anger felt by many Americans over the bailouts of banks, automobile companies and homeowners who are in over their heads, he explained that those steps have been necessary, not to help the institutions or people receiving taxpayer money, but to avoid deeper economic problems that would afflict everyone for generations to come. With a nod to environmental concerns, his speech also challenged Congress to pass a bill to cap emissions of the heat-trapping gases that are warming the planet and use $15 billion a year of the revenues from the program to pay for renewable sources of energy. Governor Bobby Jindal of Louisiana responded on behalf of the Republicans, criticizing Democrats for turning to government programs and spending to deal with the nation’s challenges, calling such an approach irresponsible. Jindal said, “Democratic leaders say their legislation will grow the economy.” He added that Democrats will grow the government, increase our taxes down the line and saddle future generations with debt. Today, following a vote in the Senate of 80-17, Hilda Solis was confirmed as Secretary of Labor. Solis, the first Latina to serve in Obama’s Cabinet, will lead the Department of Labor and is one of the strongest supporters of America’s workers and labor movement. Hispanic and Labor groups are applauding the Senate’s approval. “The confirmation of Rep. Hilda Solis is a huge victory; finally, Americans will have a Secretary of Labor who represents working people, not wealthy CEO’s. It is also a historic moment as Rep. Solis becomes the first Hispanic Secretary of Labor,” AFL-CIO President John Sweeney said in a statement. The Senate will hold a final confirmation vote today on Labor Secretary Designee Hilda Solis at 4:30 pm EST. This vote comes more than two months after she was nominated by President Obama. 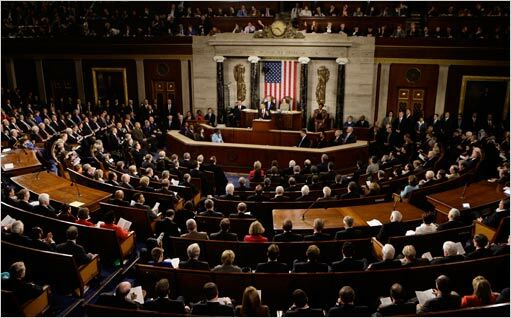 The vote was scheduled by lawmakers after Democrats were assured that Republicans would not filibuster the nomination. This morning, Senate Democratic and Republican leaders reached an agreement that removed the procedural vote that was scheduled for earlier today which would have required 60 votes to advance the confirmation. Now there will just be one vote requiring only simple majority for Solis to become the Labor Secretary. Solis is expected to be confirmed easily making her the first Latina to hold a Cabinet level position ever. Delays in her confirmation had to do with her prior work for a pro-labor group that supports legislation to make it easier for workers to organize unions. She also faced questions about tax liens filed against her husband. “A Class Apart” Airs tonight at 9/8 pm Central on PBS. It recounts a little known yet historical case known as Hernandez v. Texas, in which the legendary San Antonio attorney Gus Garcia decided to challenge the discriminatory system to gain equal rights for Mexican-Americans. Garcia picked an unlikely test case: the murder conviction of a man named Pedro Hernandez, whom he believed did not receive a fair trial because Mexican-Americans were barred from serving on his jury in Edna, Texas. On appeal, the state attorney general insisted the trial was fair because Mexican- Americans were considered white and the jury that convicted Hernandez was all white – although no Latinos served. By the time the case reached the U.S. Supreme Court, Garcia, fellow litigator Carlos Cadena and a legal team that included James DeAnda of Houston, formulated a unique argument: Mexican-Americans, they conceded, might be white, but the established pattern of discrimination against them proved they also were “a class apart”. The Supreme Court bought that argument, and on May 3, 1954, only two weeks before ruling on Brown v. Board, the justices overturned the lower court rulings and ordered a new trial for Hernandez. Hernandez was later convicted by a jury of his peers – one that included Mexican-Americans – but the justices’ decision also set a precedent that led to a countless number of successful challenges of employment and housing discrimination, school segregation and voting rights barriers against Mexican- Americans. The case literally helped improve the lives of millions of Latinos nationwide. We urge you to please tune in tonight to learn about the historical battle that helped impact the lives of millions of Mexican-Americans. Lemon Grove Middle School in San Diego has made headlines by being the first middle school in California to offer AP Spanish courses to sixth, seventh-and eighth-graders. The school, in an effort to encourage young Hispanics to take rigorous academic coursework, is offering AP classes to challenge their students who often face barriers because English is not their first language. The middle school, which serves a large number of low-income, native Spanish-speaking students, is giving a chance to native Spanish speaking middle school students who are normally first offered to take AP courses as high school juniors and seniors. Nearly all 35 students in the elective course are native Spanish speakers, born in Mexico or the children of Mexican immigrants who speak Spanish at home. Lemon Grove Middle School Principal Ambler Moss said he wants to give young Hispanics the chance to take academically demanding courses where their fluency is an advantage. “There’s no reason for them not to perform well,” said Silvia Saña, who teaches AP Spanish at Lemon Grove Middle School. Education experts believe native Spanish speakers can take AP Spanish in middle school, because they are fluent in the language already and understand Spanish culture. The benefits of taking AP Spanish would be helping them write and read at a higher level in Spanish. The AP classes developed by New York based College Board are comparable to a college-level Spanish composition and conversation class. Prior to taking the course, students are required to have basic knowledge of the language and Hispanic culture. Across the nation, there has been a major push to enroll more low-income students (especially blacks and Latinos) in high school AP courses, where they have long been historically underrepresented. The College Board now allows AP Spanish in middle schools largely because of the success of Texas schools that teach the course. A few Texas middle schools began teaching it in 1999. Nearly 90 taught it last year. AP Spanish for Hispanics in California has been a success for high school students too; last year more than half of the high school students who took the AP Spanish test were Mexican-American. Their mean score was higher than that of any other racial and ethnic group, according to College Board statistics. One of the recent class assignments was to read a lengthy Spanish article about the economic crisis in the United States by organizing a mock news conference in which students played reporters. Students asked about el plan de rescate, (rescue plan) and el paquete de medidas de estimulo para la economia (economic stimulus package) and other terms they would likely encounter while reading the assigned article.